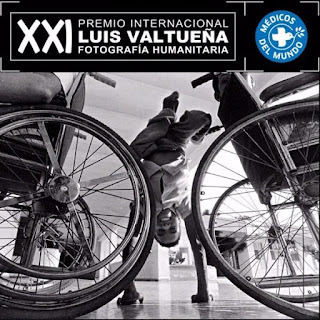 Applications for participation are invited from adult amateur and professional photographers of any nationality for 2017 Luis Valtueña International Humanitarian Photography Competition in Spain. This marks twenty-first year in which Doctors of the World–Médicos del Mundo (MdM-Spain) has organised the Luis Valtueña International Humanitarian Photography competition in honour Luis Valtueña, Manuel Madrazo, Flors Sirera and Mercedes Navarro, doctors of the World doctors killed in Rwanda in 1997 and in Bosnia in 1995 when they were working on humanitarian aid projects. The contest is a reference within the world of photography, which seeks to eulogize humanitarian values and solidarity. v Each participant is allowed to submit a maximum of ten (10) photographs, which can be distinct or part of a series. v Only photos taken between January 2016 and October 2017, and have not been previously entered, will be accepted. v Photos must be submitted in digital format. Photographs must be sent in *JPEG format with a minimum resolution of 300 ppi/ppp, all high quality (12) compressed images with an Adobe RGB or SRGB color profile. v The images must have a minimum size of 40 cms on their smallest side. The digital image’s original structure can only be manipulated through darkroom techniques such as adjusting the brightness, contrast and color, underexposure and overexposure. No other change to the original digital image will be allowed or accepted. The winner together with MdM-Spain will define the objectives and the development of the project, taking into account common interests and the operative security conditions related to possible destinations. The amount of the grant should cover all expenses needed to develop the project. Application closes on 10th November, 2017 (Spanish time).